You can count on us to listen, understand your needs and aspirations, and offer solutions that will bring you closer to achieving your dreams through financial security and prosperity. We will do right by you. We are committed to your future financial security and success. 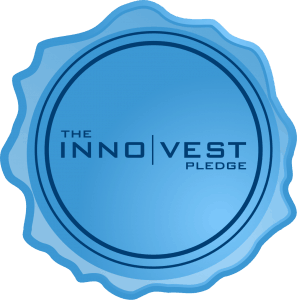 With INNOVEST, your unique needs will be served, in a timely manner, by a qualified financial advisor. We strive to arm you with all the information you need to make an informed choice. Educating you on matters of money and risk is integral to our recommendations process. We will never compromise on the quality of lending and insurance products we recommend. Our advice is 100% independent, and not skewed by the relationships we have with our financial partners. You can be assured that the solution being offered to you is uniquely tailored to your individual needs and the best possible one in the market at that point in time. Acting on your behalf where possible, we will advocate and liaise with industry professionals such as banks, accountants, solicitors, registered valuers, insurance companies, ACC, building inspectors and whoever else we need to, in order to get the job done. Our team remain knowledgeable financial advisors through ongoing training, so we can continue to deliver excellence and always exceed your expectations. We deal with people and their most valued possessions. Integrity and high moral standards will always remain at the core of everything we do. We will always be friendly, polite and understanding. We’re real people – honest, easy-going and non-intimidating; professional, but never stuffy, and always with a good sense of humour. We stay away from industry jargon. We speak English, French, Mandarin, Cantonese, Hokkien – all in simple language, not finance talk. In the unfortunate circumstances that you need to make an insurance claim, we will be there to help. We will assist in filling out forms, advising on what can and can’t be claimed, and making sure insurers are giving you a fair deal. With your permission, we will work with you to build a long term relationship to support you and your family and to help you achieve your financial goals.